Matt Williams Jr.M. Williams Jr.
Kenrich Williams scored 12 of his 14 points in the second half to lift Texas Christian to a 68-53 win over Central Florida in a NIT semifinal game on Tuesday night. JD Miller made Dunk. Assisted by Vladimir Brodziansky. 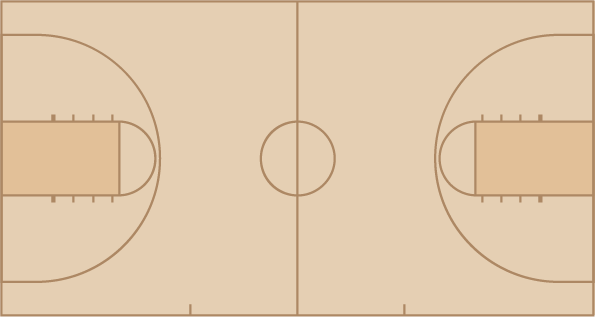 Vladimir Brodziansky made Layup. Assisted by Desmond Bane. Kenrich Williams made Dunk. Assisted by Vladimir Brodziansky. Alex Robinson made Layup. Assisted by Kenrich Williams. Michael Williams made Three Point Jumper. Assisted by Brandon Parrish. Brandon Parrish missed Three Point Jumper. Michael Williams missed Three Point Jumper. Kenrich Williams missed Two Point Tip Shot. Vladimir Brodziansky made Two Point Tip Shot. Vladimir Brodziansky missed Three Point Jumper. Alex Robinson made Three Point Jumper. Assisted by Chris Washburn. Brandon Parrish made Three Point Jumper. Assisted by Alex Robinson. JD Miller made Layup. Assisted by Kenrich Williams. Kenrich Williams made Dunk. Assisted by Alex Robinson. Kenrich Williams made Two Point Tip Shot. Karviar Shepherd made Dunk. Assisted by Kenrich Williams. Chris Washburn missed Three Point Jumper. Vladimir Brodziansky made Layup. Assisted by JD Miller. Michael Williams made Three Point Jumper. Assisted by Kenrich Williams. Matt Williams made Three Point Jumper. Tanksley Efianayi missed Three Point Jumper. Tanksley Efianayi made Three Point Jumper. Assisted by Nick Banyard. Nick Banyard made Three Point Jumper. Assisted by B.J. Taylor. Matt Williams made Three Point Jumper. Assisted by A.J. Davis. B.J. Taylor made Three Point Jumper. Assisted by Matt Williams. Tacko Fall made Layup. Assisted by A.J. Davis. Brock Stephenson missed Three Point Jumper. Tate Morse missed Three Point Jumper.